Last week’s article Distance Healing Symbol? looked at the historical background of the so called “distance healing symbol”. For people who are interested in the historical background of Japanese spiritual practices you might also want to read this article which includes an interview with author Serge Mol about his recently published book “Invisible Armor”. Mikao Usui belonged to a Samurai family, but how did the samurai relate to Japanese esoteric teachings and how did they implement them? The answers to these questions are sure to give us greater insight into the foundation of the system of Reiki and the world from which it evolved. If you are interested in these kind of questions, then we highly recommend a book called Invisible Armor, An Introduction to the Esoteric Dimension of Japan’s Classical Warrior Arts. You will find some great insights, not just about Japan, but, even the system of Reiki. For example the “goshinpo” that Serge Mol speaks of is the practice that has been associated with the system of Reiki’s reiju practice. There is a widely acknowledged mystical uniqueness to Japan due to the people’s ability to create their own distinctive practices. Even the commonly practised teachings of Buddhism, for example, are not what many in the East might consider to be “Buddhism”. It is a mixture of many aspects of Japanese traditions. Tendai Buddhism, for example, includes certain Shinto elements, Zen, Esoteric Mikkyo, Pureland and Japanese Shamanistic practices. It is easy to see the fascination that this country holds for many and it is a blessing that people such as Serge Mol can bring us greater insight into this rarely written about subject. Within traditional Japanese Reiki teachings the first two symbols and mantras represent, respectively, Earth and Heavenly Ki. The third symbol and mantra (as discussed in our previous article) creates a state of mind of interconnectedness or Oneness; this state of mind is the ki of Man. It is by working through these steps that we can become completely human. In fact, by uniting the dual elements of Earth and Heavenly ki and moving into a state of Oneness we finally discover our true nature, which is non-dual in nature. This non-duality in the Japanese system of Reiki is represented by the 4th symbol and mantra (its acronym is DKM), and it is through the direct experience of this non-duality that we can live in harmony with the dual elements of Earth and Heaven. Remember that the techniques and methods discussed in this book are for reference only. To truly understand and work with these techniques and methods you need to have been trained by a qualified teacher. So for the eager modern Reiki practitioner and teacher do not start including techniques learned from a book or non-qualified teacher as this may bring more harm then harmony. Sege Mol provided us with this interview that he thought might be helpful for our own readers. Q: What is your book Invisible Armor, An Introduction to the Esoteric Dimension of Japan’s Classical Warrior Arts about? 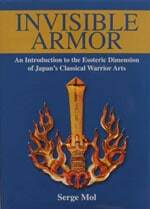 A: In Invisible Armor, I introduce the reader to the little known, let alone understood, spiritual and esoteric dimension of Japan’s classical warrior arts. The invisible armor used for the title of the book in fact has two meanings. On the one hand it refers to the spiritual means of protection such as special rituals and even charms that as it were clad the user in an invisible “spiritual armor”. On the other hand however armor can also mean weaponry. Therefore “invisible armor” also refers to “invisible weapons”, such as spells and curses used by samurai and ninja alike to speed up the demise of their opponents. On a much larger scale, “invisible armor” also includes the methods used by the classical warlord to predict or influence the outcome of major battles, and which as is were make up the esoteric side of the art of war. Topics that are discussed in this book are goshinpo, kujho, jujiho, spiritual and psychological weapons, methods of divination used to find auspicious days and directions for war, methods used to read the ki or energy of an enemy army, the fusui (feng shui) used when building castles and muany more. Over time these methods were embraced by the classical warrior traditions or schools (bugei ryuha) and became a part of their most secret teachings. 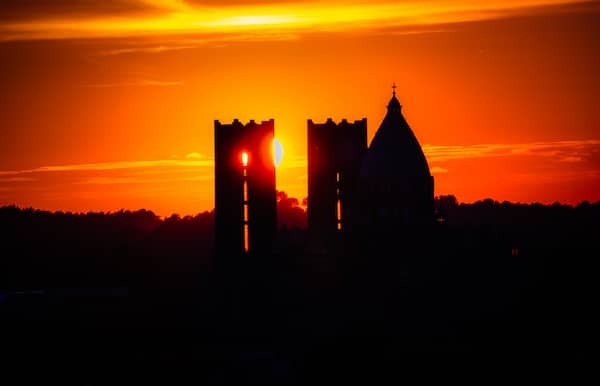 In addition to introducing the various esoteric methods, I also provide more background information and the historical context in which they were used. A: Already since I was a teenager I have been fascinated by Japan’s classical martial arts. Gradually my interest in them deepened. Whereas at first I was interested in the actual fighting skills and weapons, later on I became more and more interested in the historical background. However no study of Japan’s classical martial arts can be complete if one doesn’t at least make an attempt to understand the spiritual dimension that is inextricably bound up with these arts. Over the years I came to realise that both in the West and in Japan their are so many aspects of the warrior’s spiritual dimension that are either misunderstood or misrepresented that I felt compelled to write this book. With this book I hope to provide practitioners of the classical martial arts access to material that is normally not available in a Western language and thus help them deepen their understanding of the arts they are practising. Q: Can you specify some aspects of the warrior’s spiritual dimension you feel are often misunderstood or misrepresented? A: A first major misunderstanding I feel is that when addressing the spiritual dimension, the Japanese warrior, and especially the samurai figure is almost always automatically associated with Zen and Zen meditation. The same can be said about Japanese martial arts. One is made to believe that the heroic acts of the warrior are to be attributed to his practice of Zen meditation. This however is incorrect. Whereas I do not dispute that Zen started to play a more prominent role in the education of certain warriors, especially in the Edo period, which was a period of relative peace, prior to that, in the war plagued periods of Japan’s history, the warrior relied heavily on the spiritual methods borrowed from esoteric Buddhism (Mikkyo) to mention but one example, and worshipped various warrior deities and Buddhas. On a personal level, he used protection rituals, good luck charms, and even spells to ward off evil, or curse his enemies. At present such methods are often associated with the historical ninja figure. From the documents of some of the oldest existing martial arts schools however it becomes apparent that they were used by the bushi or samurai figure as well. On a much larger scale it can even be said that there was a whole esoteric dimension to the art of war. Warrior generals also used methods of divination and spells to predict and influence the outcome of war. If one studies some of the major works on strategy used by these generals and their advisors, and compares them to the secret manuscripts of ninjutsu, then it becomes apparent that ninja and bushi used the same esoteric methods and strategies. Q: What were your sources of information? A: I used a variety of sources, ranging from modern Japanese works on the subject, secret documents of the classical martial arts traditions, ninjutsu related manuscripts (e.g. Bansenhukai, Ninpiden, Shoninki, Inko Ryu Ninjutsu Kusetsu) to major works on strategy and historical chronicles (e.g. Koyo Gunkan, Shikansho, Bukyo Zensho). Also the testimony of living masters of both classical martial art traditions and of the religious schools the warrior’s esoteric teachings were based upon were most helpful. To get a better understanding of the original context of the Mikkyo based rituals such as goshinpo, kujiho(u) and so on I have consulted specialists in that field. I was for example fortunate in having the opportunity to talk to Miyage Tainen sensei, the present Gomonshu of Imperial Shogoin Temple in Kyoto, and the headmaster of the Honzan-Shugen school. Also I had frequent conversations on the subject of Shugendo and the deeper meaning of its various rituals with Shogoin’s reverend Jakkoin Kuban. I’m also most grateful to Otake Risuke, master teacher of the Tenshin Shoden Katori Shinto Ryu(u), one of Japan’s oldest martial arts schools, for his detailed explanation on the the application of Mikkyo based protection rituals used in his tradition, but also for telling me anecdotes about the usage of healing rituals and fudokanashibari. Q: Was it difficult to access these sources, and how did you find them? A: Some sources were more difficult to find and gain access to than others. Even in Japanese there are not that many specialised modern books on the subject, and those few that exist often only refer to passages in older works, but do not actual provide much explanation about them, leaving many questions unanswered. Often such works are limited to vague general explanations It was therefore necessary to directly access the older source material. Whereas it is relatively easy to find copies of works as Koyo Gunkan, Bukyo Zensho, Bansenhukai, Ninpiden, and Shoninki, others such as Shikansho proved almost impossible to find, even in some of the more important Japanese libraries and collections. With the older source material the problem is that they are not written in modern Japanese, and also that they use metaphors and symbolism which are not immediately clear if you are not already familiar with the subject. The same is true for the once secret documents of the various warrior traditions that I consulted to write this book. Q: What were some of the obstacles you had to overcome to write this book? A: A major obstacle was that the subject is quite complicated and requires a lot of knowledge of a variety of fields. Not surprisingly, the research for this book alone already took me many years. Another problem was that I somehow had to condense all the available information and then write in such a way that even for someone that is not a specialist in the different fields that are discussed, the text is still clear and interesting to read. Q: Invisible Armor is also richly illustrated, was it difficult to find illustrations for your book? A: Naturally for a book that deals with spiritual and esoteric matters it is more difficult to find illustrations than for a book about techniques or weapons. So yes, for some chapters it was actually very difficult to come up with illustrations. But I feel illustrations can make a text more accessible and readable so I went to great length to find suitable ones for each chapter. Q: How did you find the right illustrations? A: Already when I was writing the chapters I had a pretty good idea of what I wanted to use. So I looked trough my own collection of documents and prints and made a first selection from these. For material I didn’t have in my own collection I got the help from some teachers and friends, who were more than willing to provide material for me. You have lived in Japan for several years, was this helpful in your approach of the subject? A: Most definitely. I feel having been immersed in the culture and history of the country may have helped me gain insights that would have been difficult to get otherwise. For many years I have actually studied classical martial arts in Japan, and as a result have been directly exposed to some of the things I explain in my book. However to further enrich my personal experience, and understanding outside of the scope of my martial arts training, I have also participated in other activities as well. To test my mental resolve for example I have done hiwatari, or fire walking rituals, on several occasions. Also in my book I explain how the ancient capital of Kyoto was constructed in such a way that it was believed to be protected by the gods. Kyoto was my hometown in Japan, I actually know and have visited many of the places I mention in my book. Finally I might also add, that as a member of very traditional Kyoto family, I have been able to see Japan both through the eyes of an insider and an outsider. Although Japan has modernised rapidly, certain remnants of the past, some of which I describe in my book, are still present. In my wife’s family since many generations a book that contains information on how to make healing spells and charms has been preserved. And I have seen occasions on which it has been used in the recent past. Similar things can be found in the curriculum and scrolls of ancient martial arts traditions that I have in my own collection. Also often my wife and father in law inadvertently said things which I felt were useful for my book, and sometimes when seeing me write they even suggested other interesting topics that could be checked or discussed. I think all these factors made a positive contribution to my approach of the subject of Invisible Armor. Q: Who should read your book, or who might benefit from reading it? A: Naturally anyone is welcome to read my book, but it think it will be especially of interest to practitioners of Japan’s classical martial arts that want to discover an in the West little understood dimension of their art, as well as to enthusiasts of samurai and ninja history and culture in general.